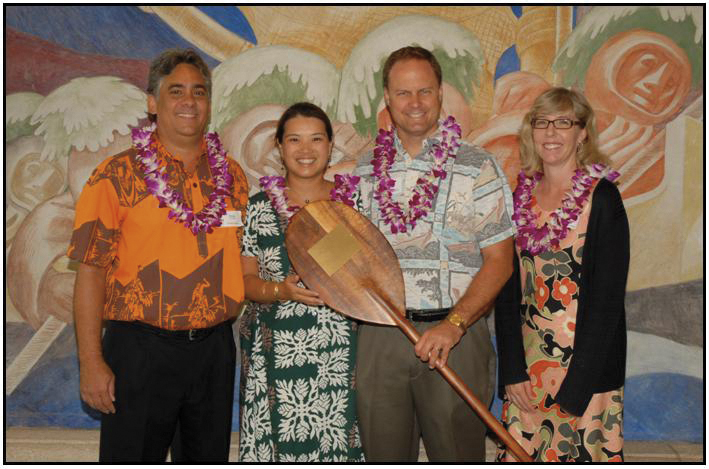 Pacific Islands Institute has been honored with multiple awards and accolades over the years. We are proud to have been recognized by the community and industry leaders. 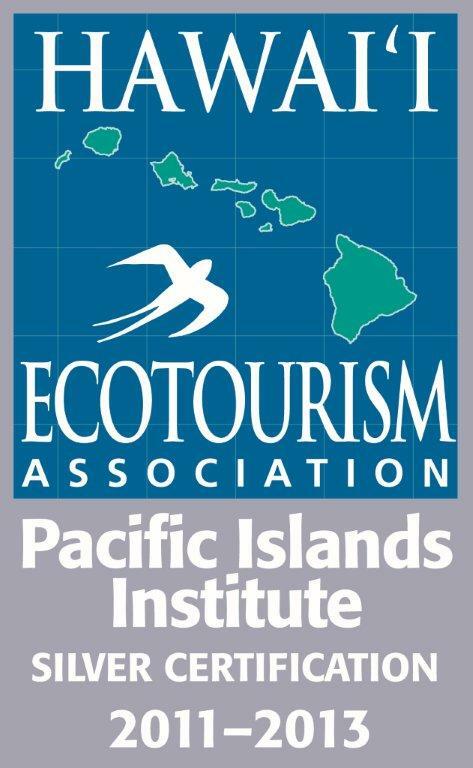 Pacific Islands Institute was proud to be one of fourteen companies statewide to have earned the distinction of being Hawaii's first ever Certified Ecotour Operators for our commitment to environmental sustainability. With the goal of encouraging more "green" tourism statewide, the Hawaii Ecotourism Assocation (HEA) developed the ecotourism certification program to educate commercial tour operators of the responsible use of natural and cultural resources, support conservation and sustainability and to raise awareness among Hawaii's visitors. 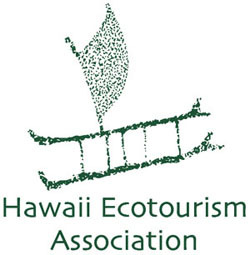 Each year, the Hawaii Ecotourism Association recognizes one ecotourism operation who exemplifies the ideals of ecotourism. This award aims to recognize Hawaii ecotourism operations who demonstrate, through their business, a commitment to environmental stewardship, cultural sensitivity, community enhancement, educational content, or all of the above. These operations provide excellent examples of how the principles can be put into practice here in Hawaii. In conjunction with Hawaii’s Living Reef Program, the Coral Reef Outreach Network (CRON) has developed an annual Living Reef Awards Program. The goal of the Living Reef Awards Program is to honor groups and individuals that promote a healthy reef ecosystem and go above and beyond in their action to make a difference in preserving our reefs, appropriate to their resources and ability. The awards honor and recognize organizations, groups or individuals that do the most to preserve Hawaii’s reef ecosystem.